Asus is teasing a new Selfie-centric smartphone of the Zenfone 4 Selfie series which already has two members named Zenfone 4 Selfie and Zenfone 4 Selfie Pro. Today, Asus Zenfone 4 Selfie Lite was listed on the official Asus Philippines website that is surely the phone Asus is teasing for past few days. So, with this listing, all the specifications and main highlights of the smartphone are now out. Design Wise, the phone is pretty much the same as the Zenfone 4 Selfie with that single camera on the back in rounded rectangle design and an LED flash on the left. Below the camera module is the Asus Logo. On the front, the design remains the same with the fingerprint scanner/home button along with two capacitive touch buttons on the either side. Since it is a selfie-centric smartphone, the phone features a front-facing LED flash too. So, the only thing that makes the Asus Zenfone 4 Selfie Lite different from Zenfone 4 Selfie are the specifications. The Phone features a 5.5-inch HD IPS display with 400 nits of brightness, 2.5D curved glass, and 1.65mm thin bezels. The 64-bit Quad-Core Snapdragon 425 Processor powers the smartphone with the Adreno 308GPU. It is worth mentioning that the Zenfone 4 Selfie has Snapdragon 430 Processor which is faster than the 425. There is 2GB LPDDR3 RAM and 16/32GB internal storage space that can be expanded up to 2TB via MicroSD card. 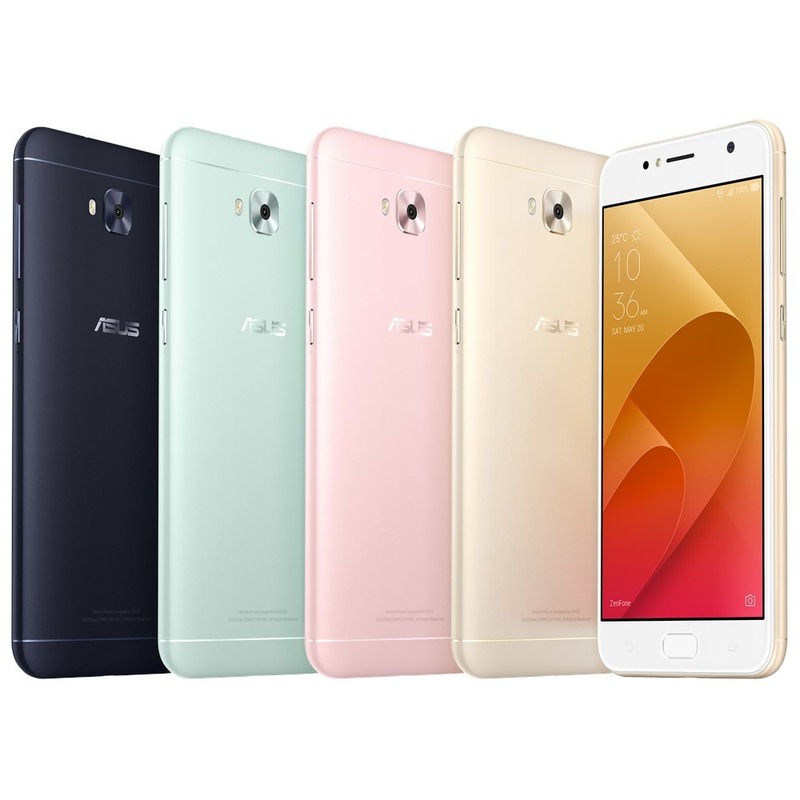 Unlike most of the phones launching these days, the Asus Zenfone 4 Selfie Lite has dedicated slots for both the SIMs as well as the SD card. Under the hood, there is a 3,000mAh battery, and the phone runs on Android Nougat with ZenUI 4.0. The color options include Deepsea Black, Mint Green, Rose Pink and Sunlight Gold. The pricing isn’t yet known, but considering the specifications, it will be better if Asus keeps the price below $150-160.